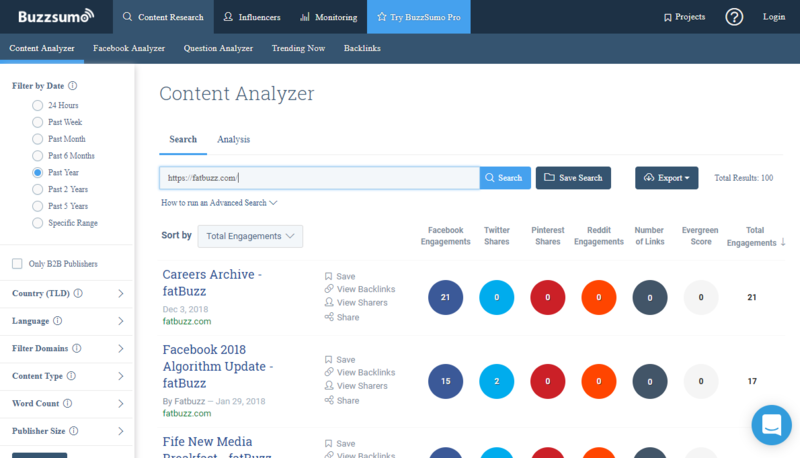 Like followerwonk, Buzzsumo is a great tool to help you find influencers. 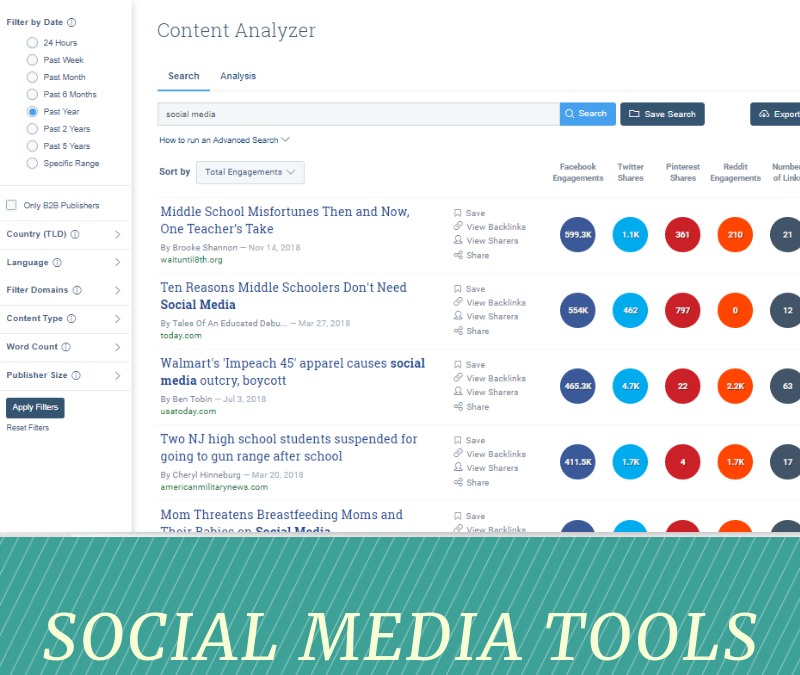 It also shows you their most recent articles and publications. 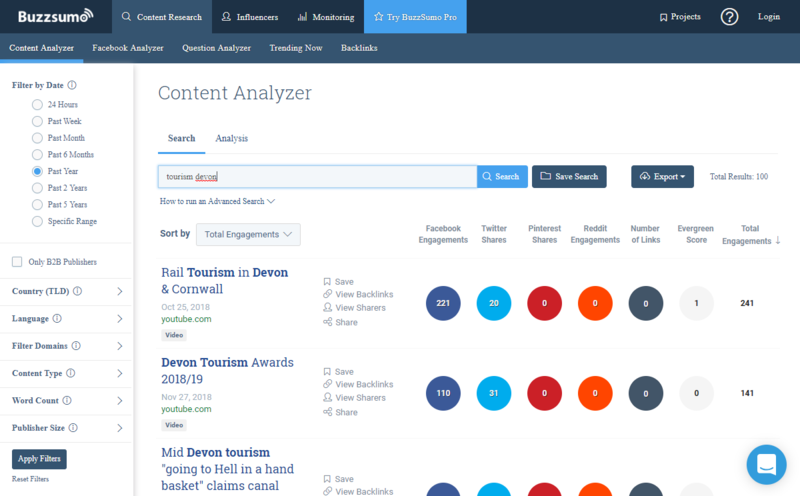 You are limited to a small number of searches daily, though you can can sign up to a free tiral that then converts to a limited free account. You can search by topic to find the most relevant articles…. 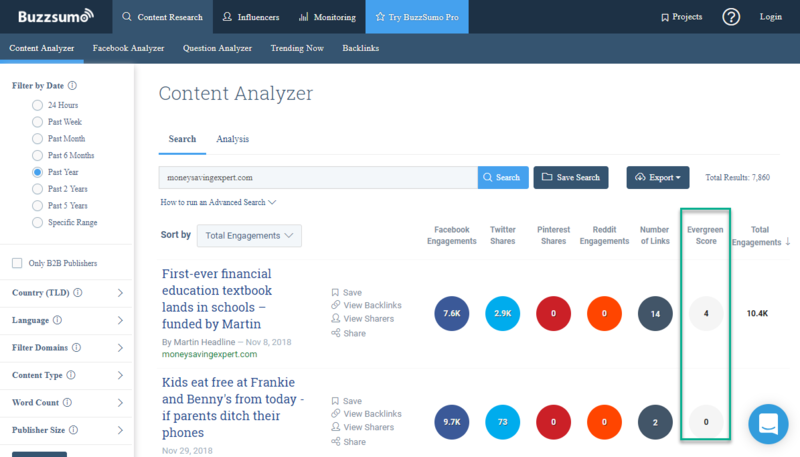 One of the best, yet least used, features of Buzzsumo, is the “Evergreen score”, which will show you items that weren’t just popular when they were first published, but continue to get shared over time.